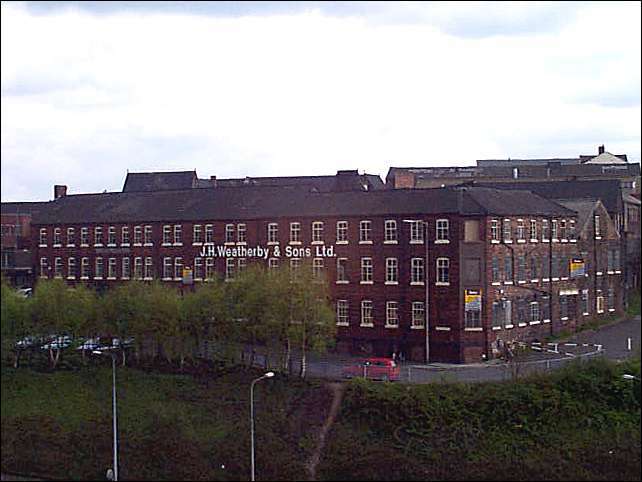 Messrs. J H Weatherby & Sons established a small works at Tunstall in 1891. 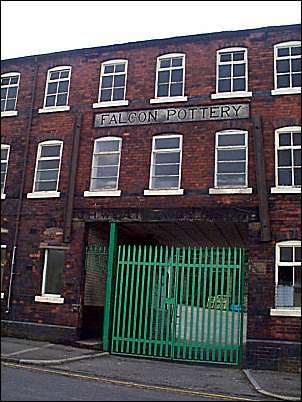 In the following year they moved to the larger Falcon Pottery at Hanley. Good quality earthenware tableware has been produced up to the present time. 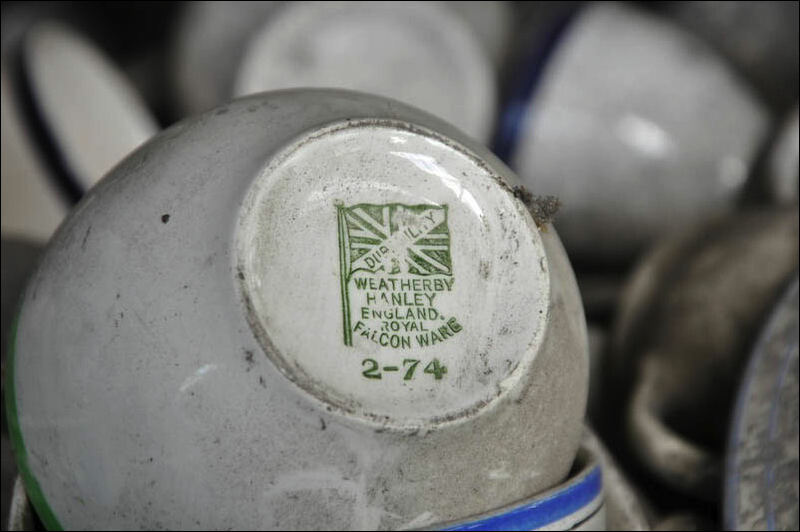 The marks include the initials J H W & Sons or the name 'Weatherby'. 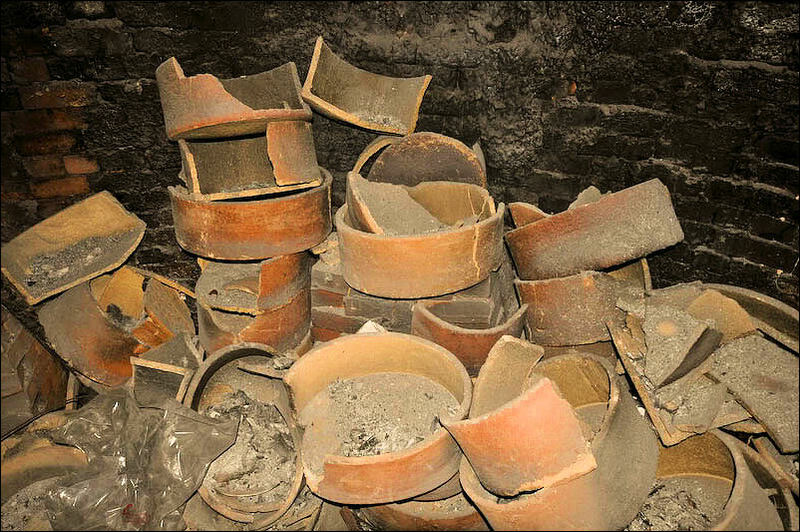 Pot Bank. 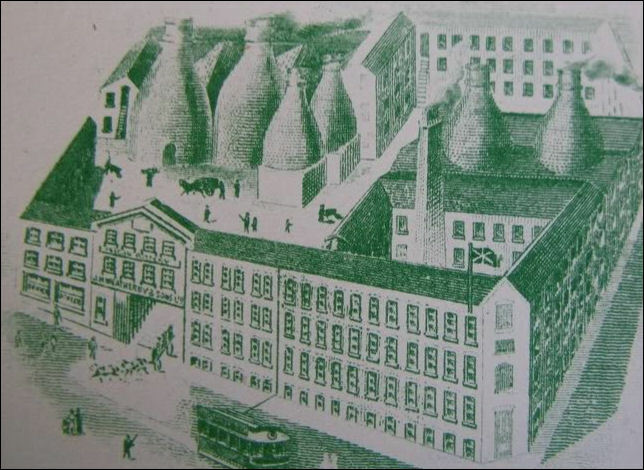 1906, with use of site established by 1891. Brick with plain tiled roofs. Extensive workshop ranges loosely grouped around yard. 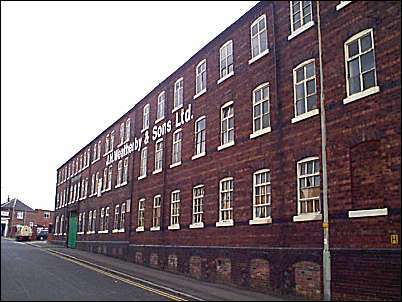 Entrance range of 3 storeys and 23 bays, with entrance arch to the yard towards the left of elevation, with cast-iron lintel and mosaic lettering: "Falcon Pottery". Blue and red brick cambered heads to windows, and blue brick bands. This facade fronts a rougher brickwork in side elevations, suggesting that it is perhaps the refronting of an earlier range. 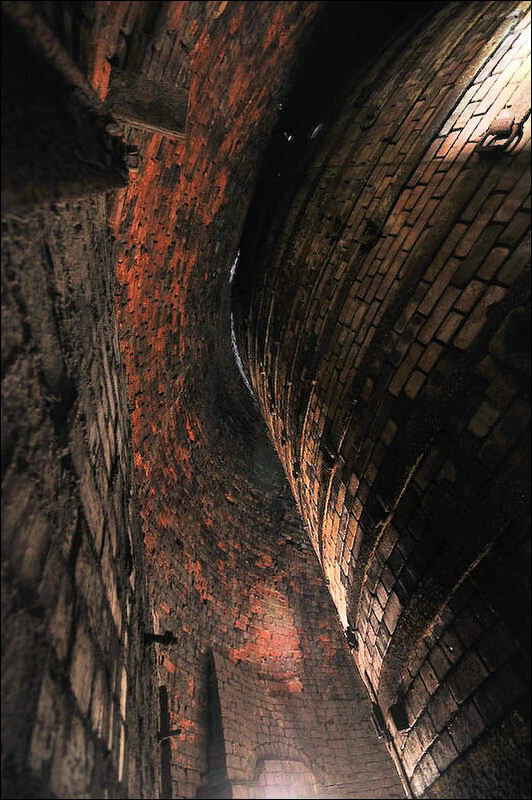 Squat bottle kiln in courtyard, a circular hovel over downdraught oven, adjoining an earlier range of buildings. 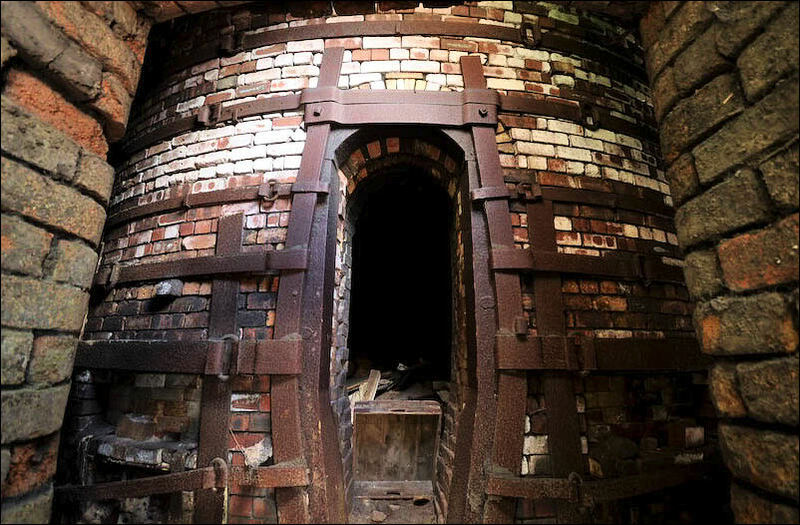 The remains of one of the few surviving muffle kilns in the City are also housed on this site. 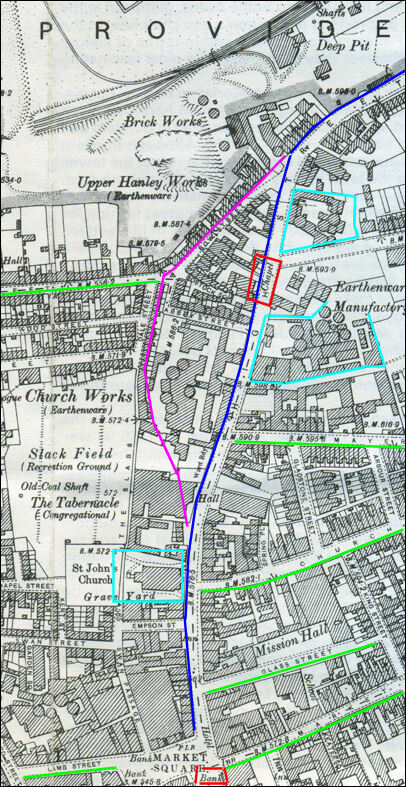 The works extends back from Old Town Street, with 8 bays in the side elevation of the frontage range, and a further 3-storeyed range of 12 bays beyond, a later addition. 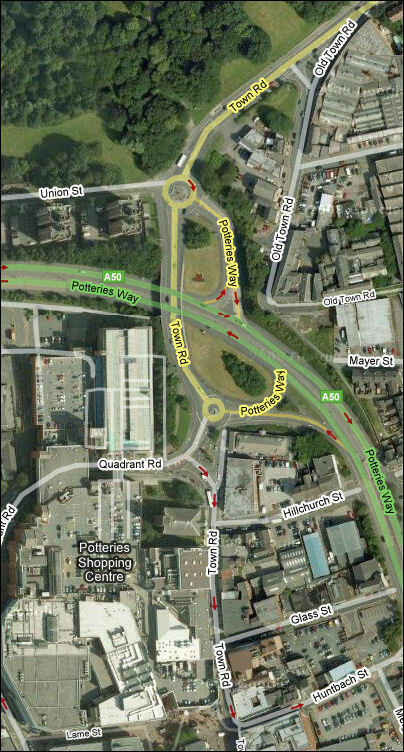 The purple line shows the approximate route of the redirected road when the Potteries Way was built. 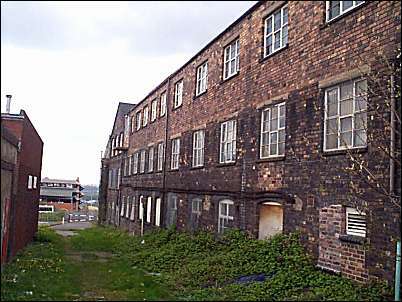 on the left: Union Street at the top and Lamb Street at the bottom. and a chapel, which later became a Spiritualist Church.